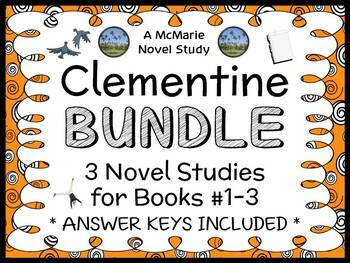 This Clementine BUNDLE contains three Novel Studies from the Clementine series by Sara Pennypacker. In total, there are 88 pages. 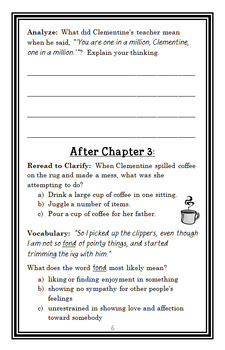 Each Novel Study is in booklet-style format. 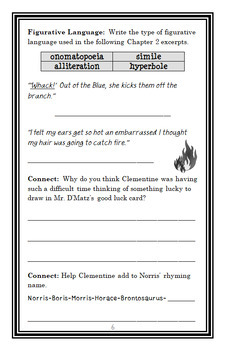 All three novel studies are complete with a challenging, book-based Word Search and Word Jumble! 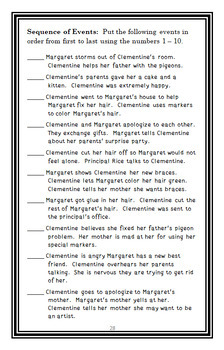 ***The preview available is Clementine, which is one of the three novel studies bundled in this product.